If you’re wondering what effect Brexit will have on UK industries, then look no further than the UK Brexit Impact Statements, now available from IBISWorld. IBISWorld was recently introduced as a new market intelligence resource, providing full-text access to UK and US industry reports, and global industry analysis across a wide range of sectors. The new UK Brexit Impact Statements are designed to help provide an understanding of the potential impact of Brexit across all UK industries. 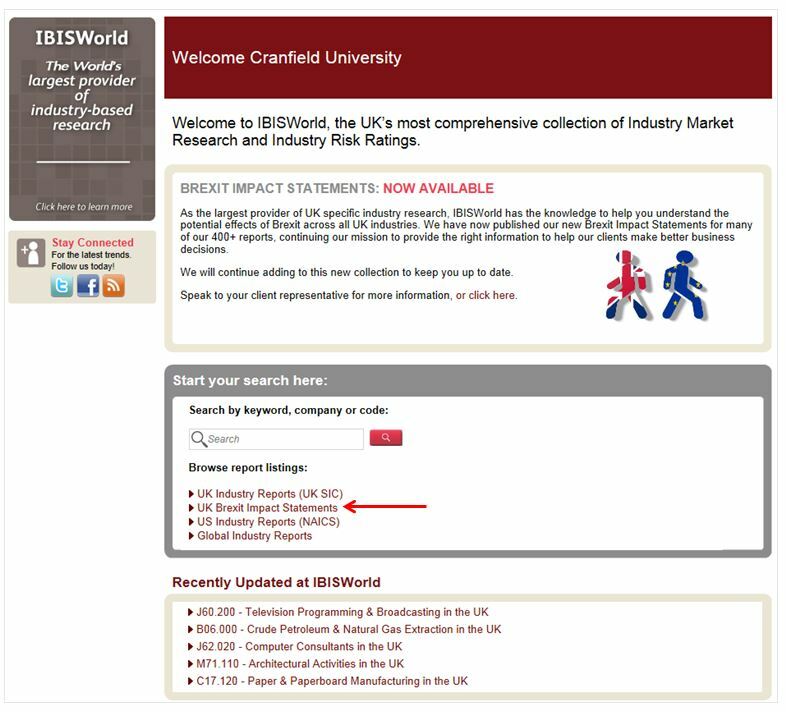 Currently, many of the 400 industry reports available in IBISWorld have Brexit Impact Statements included, and more will continue to be added. For access, click on ‘UK Brexit Impact Statements’ from the homepage of IBISWorld. Access to IBISWorld is available via the Electronic Business Resources page on the MIRC website. If you have any questions, please contact MIRC.